After this weeks visit to Nino’s I am actually kicking myself that we haves dined here before, we visited once last year, but that was for a christening which was lovely, the buffet and service was great. But it was a busy function and we didn’t get the real feel for the restaurant. What I love about Nino’s is the style, it very extremely contemporary giving it a bit of a cool but comfy feeling. As soon as you walk in the atmosphere grabs you. 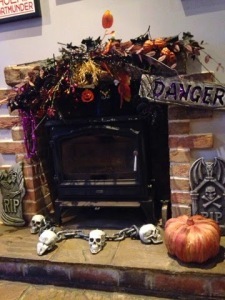 Even the current Halloween styling is very tastefully done to add to the atmosphere. So here are my thought’s on Nino’s and our experience. We were initially seated in the bar area for drinks, a tastefully decorated area with comfy sofas and cool artwork, to be honest this is sort of place I could bob in for a drink as it is such a chilled environment. Once seated at our table we were offered more drink’s, which came promptly and shown the menu. The staff were fantastic with Jack and spent time with him explaining portion sizes so he could do his injection. For me this is so important in a restaurant as he has to get his insulin right. They told him how many scoops of ice cream, size of pizza and never once made him feel uncomfortable. 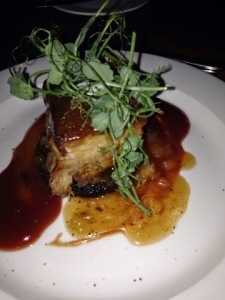 The organisation was very slick, and with a table of 14 thats not easy, but they showed lots of patience as we ordered, then some changed their minds and re ordered. You know how it is with family meals? The food arrived in good time, we had just enough time after ordering to enjoy a glass of a wine and chat before our delicious starters arrived. Chris ordered the pork and I ordered carpaccio, both delicious. 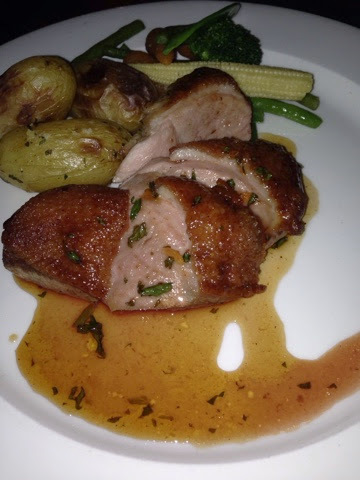 For my main meal I ordered Duck, it was so tasty. Cooked perfectly, quite pink yet so tasty and the accompanying potatoes and veg were also cooked to perfection. The meal as a whole was delicious. I didn’t have pudding but did enjoy a calypso coffee after my meal whilst some had pudding, which I must say looked very tasty. The overall verdict, would we visit again? Yes, definitely I loved Nino’s, the decor is very contemporary but cool, it is a huge restaurant yet feels cosy in a cool way. 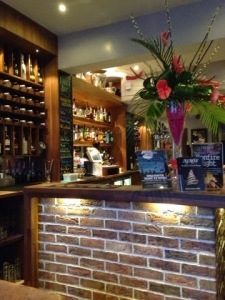 The staff were great so attentive, making sure we were topped up with drinks constantly. I love they way they helped Jack sort his carbs out. And the food was delicious and not your run of the mill Italian restaurant offerings, yes there was plenty of old favourites on the menu but then also dishes that had been given a modern twist.